In this article, we explain how to install Joomla on a VPS with DirectAdmin. Paid options such as Installatron or Softaculous can simplify the installation and allow you to execute from DirectAdmin with one click. 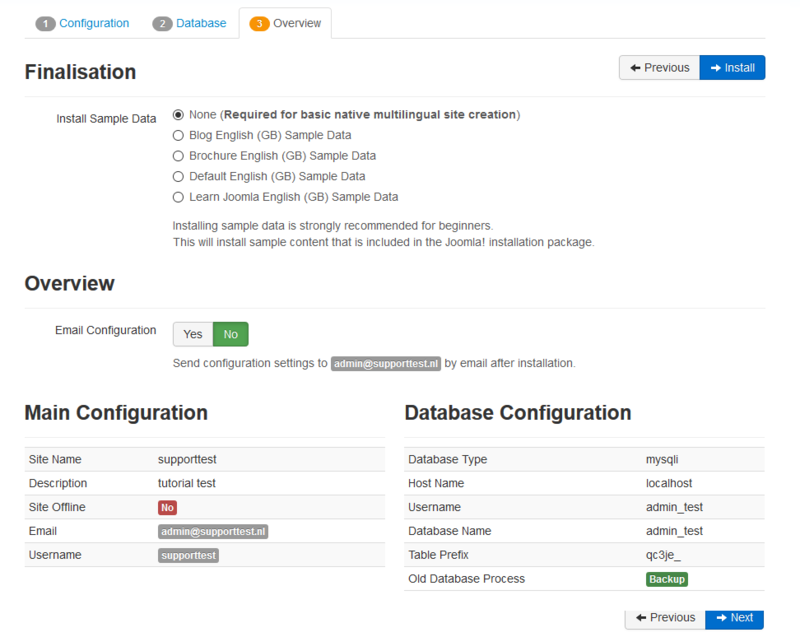 We assume that you do not want to incur additional costs or want to install additional software, and only explain how to install Joomla in DirectAdmin using the built-in options in DirectAdmin itself. Download Joomla from the Joomla homepage and save the .zip file to your computer. Log in to DirectAdmin as the user for which you want to install Joomla and click 'Files'. You will now return to the public_html folder and see 'joomla-3.8.5.zip' (or just the version that is current at the time of reading). Click 'Extract'. Joomla is now installed for your domain. Open yourdomain.com in a browser (replace yourdomain.com by your actual domain name). 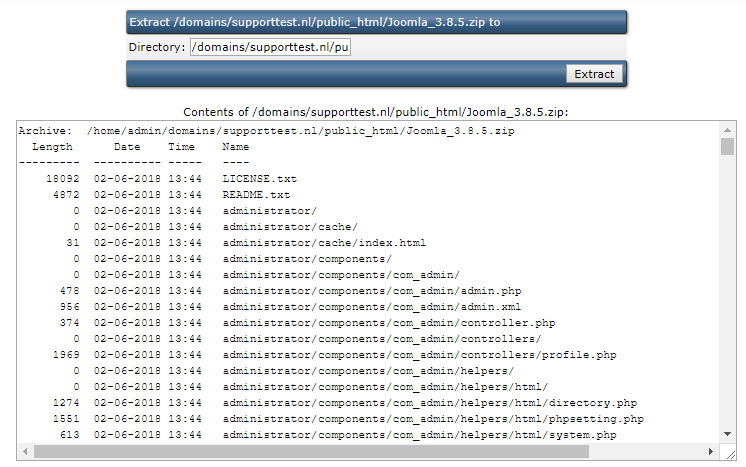 You will then see the Joomla setup menu, as in the screenshot below. Enter the requested data and click 'Next'. A database is required for this step. 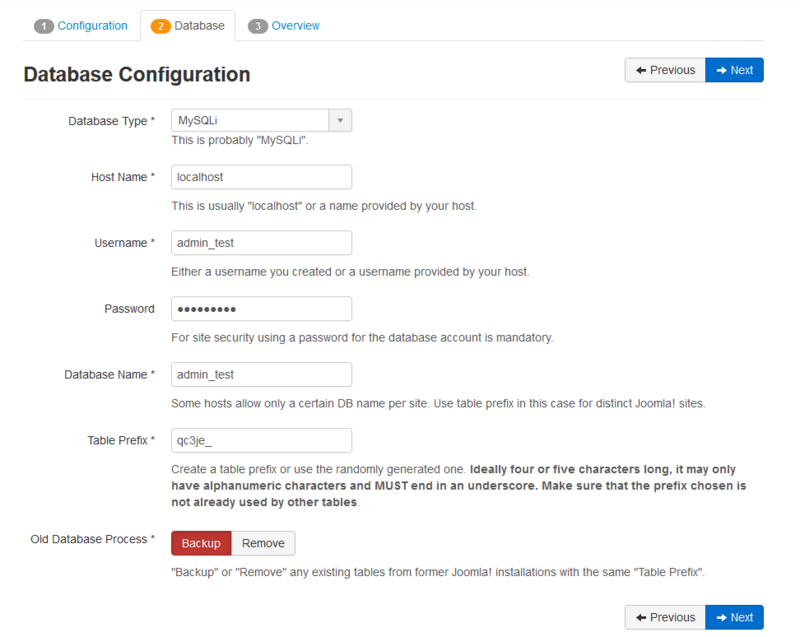 In our DirectAdmin tutorial series, we explain how to create a database. Enter your database data as in the example below and click 'Next'. You will see the confirmation below. Check that the settings are correct and have yourself email a confirmation of the settings by setting 'E-mail settings' to 'Yes' under 'Summary'. Then click 'Installation'. 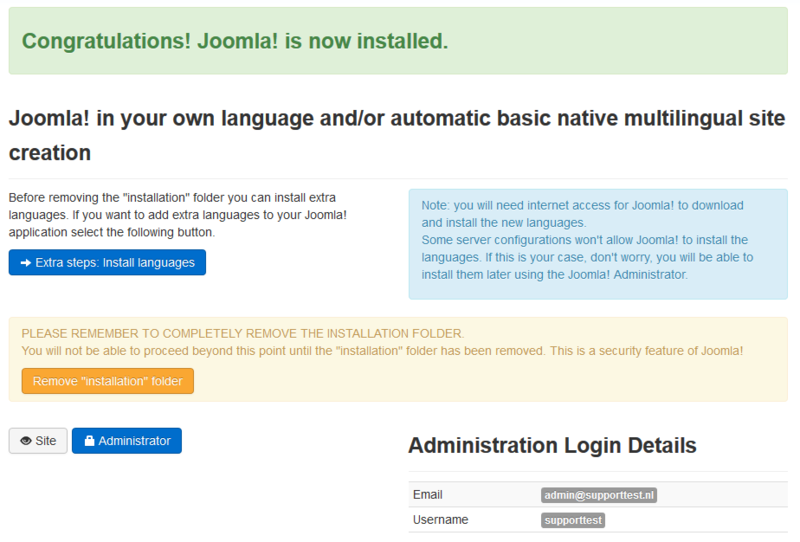 The installation of Joomla is complete! 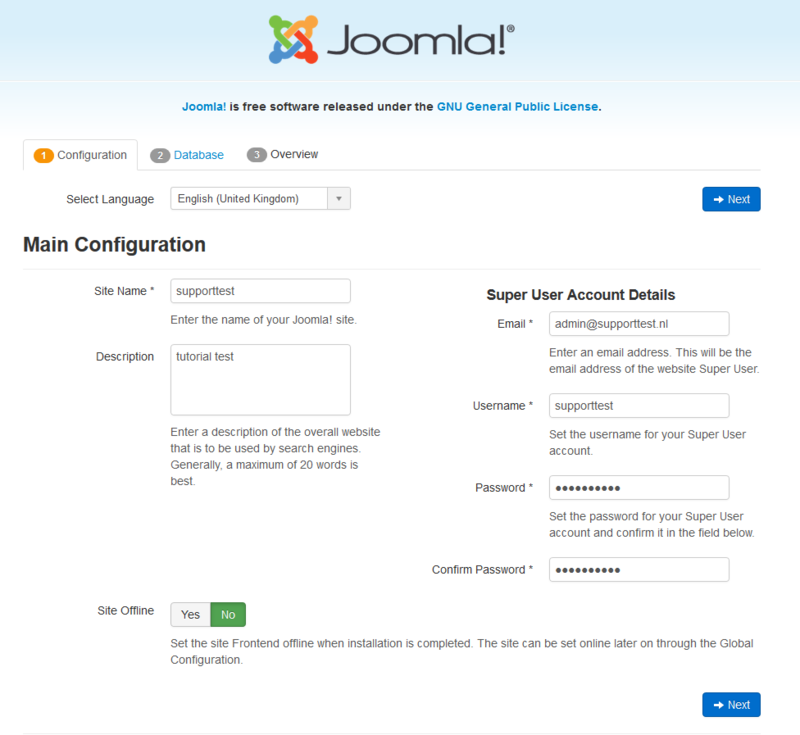 Joomla immediately offers to prepare your site for use in multiple languages. If you want to offer your site in multiple languages, ​​we recommend this option wholeheartedly. After enabling additional languages, or if you have completed this step, click 'Delete the folder' to delete the installation folder and complete the installation. Please note that we cannot offer support on the design and management of a Joomla website ourselves.